Petrus foi um guerreiro formidável. Os habitantes das terras tibianas costumava chamá-lo de "o homem do escudo lendário". Seu fascínio por escudo era tão belo que certa vez, em passagem pela cidade Carlin, deparou-se com um dos guardas da cidade, que logo disse-lhe sobre a existência de dois escudos forjados de ouro mais puro e dos metais mais nobres encontrados no mundo tibiano. Petrus ficou tão fascinado pela história que logo começou sua aventura em busca de escudos perfeitos. Depois de lutas sangrentas e batalhas intermináveis, Petrus havia encontrado um exemplar de cada um dos escudos mais resistentes: o Journal Shield e o Adamant Shield . Ficou tão impressionado com a beleza e resistência dos metais desses escudos que resolveu levá-los ao ferreiro mais famoso de Kazordoon para que ele pudesse fundi-los, originando o escudo mais resistente de toda a terra. Caro Tibiano, seu objetivo é encarnar o ferreiro e produzir o escudo mais resistente do mundo, fundindo o Journal Shield e o Adamant Shield, como era o desejo de Petrus. Você deve criar um shield fundindo o Journal Shield e o Adamant Shield, sendo o último o fansite item do nosso parceiro, o TibiaLife. 5. Sua postagem deve conter o nick do seu char e mundo que você joga. 12. O Concurso inicia em 24/01/2019 logo após o server save e encerra em 10/02/2019 às 23:59 (horário de Brasília). 13. O Resultado será divulgado em até 7 dias após o encerramento do prazo. Petrus was a formidable warrior. The inhabitants of the Tibian lands used to call him "the man with a legendary shield." His passion for shields was so beautiful that once he passed through the city of Carlin and one of the guards of the city, who soon told him about the existence of two shields forged of purest gold and the noblest metals found in the world. Petrus was so fascinated by the story that soon began his adventure in search of these perfect shields. After some endless battles, Petrus had found a copy of each of the most resilient shields: the Journal Shield and the Adamant Shield. He was so impressed by the beauty and strength of the metal of these shields that he decided to take them to the most famous blacksmith of Kazordoon so that he could fuse them, giving rise to the most resistant shield ever seen. Dear Tibian, your goal is to embody the blacksmith and produce the toughest shield in the world, merging the Journal Shield and the Adamant Shield, as was Petrus' wish. You must create a shield by merging the Journal Shield and the Adamant Shield, the official item of our partner TibiaLife. 5. Your post should contain the name of your character and the world you play. 13. The Result will be announced within 7 days after the deadline. 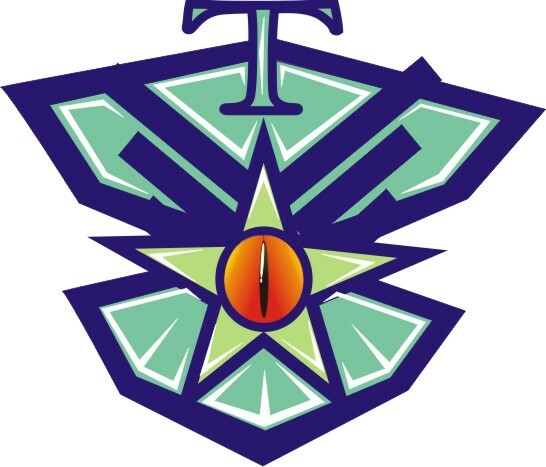 O Experiente ferreiro Guiizudinho(Inabra), ao ver o brilho eterno do Adamant Shield e a formidável luz vinda da estrela do Journal Shield, decidiu colocar mais brilho ao forjar o novo shield, buscou nos confins de Kazordoon o cristal mais resistente e brilhoso, e o lapidou e o forjou, criando assim o Shine of Shield ! Its easy to be brave in a crowd. Hiding behind their nicknames. 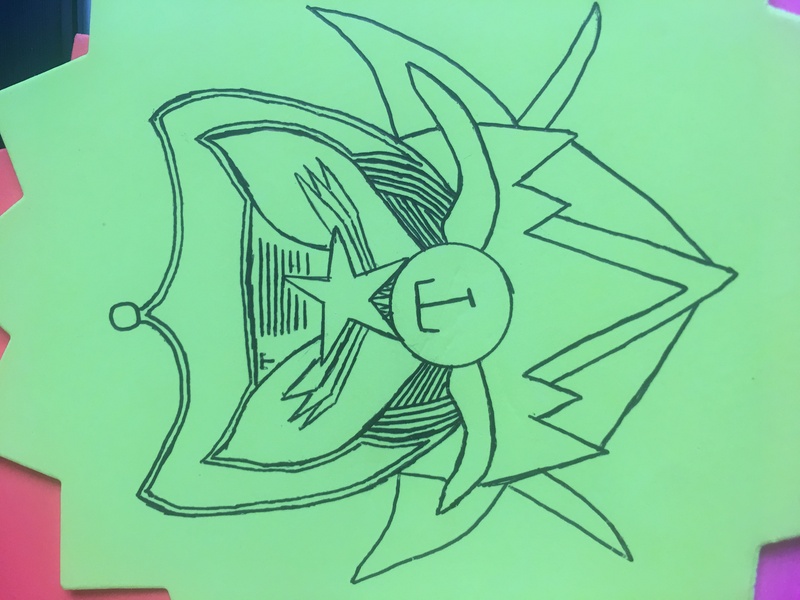 This is my proposal, this is the mix of the top half of the adamant shield and bottom half of the journal shield with the T added. 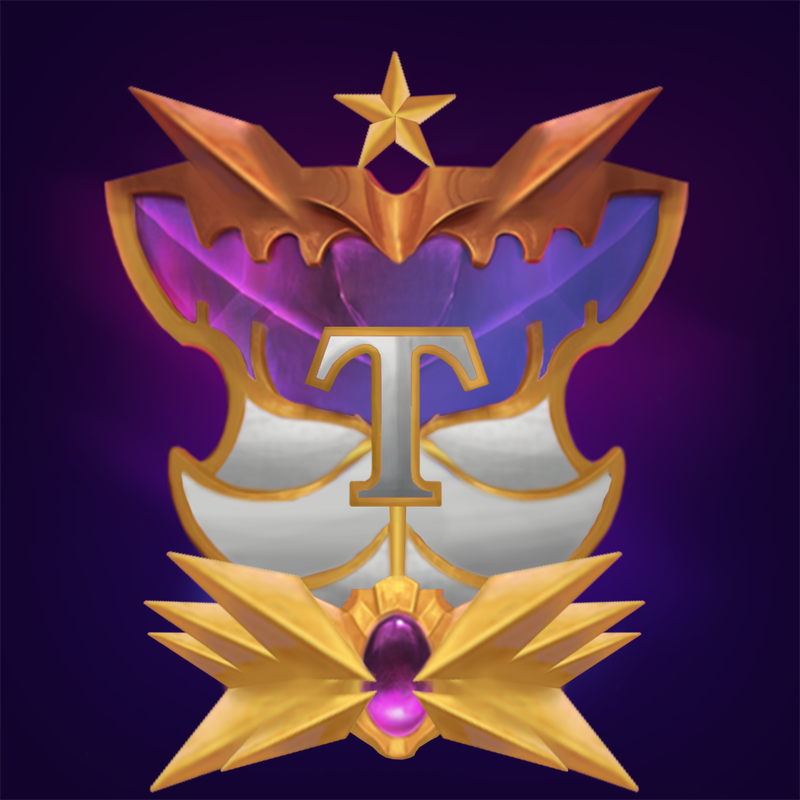 The shield should spark and the T should change the colours! It will look cool after implemention. Hope you like it. My nickname is Strugu Occultist at world antica.
" Apenas aquele que o deseja acima de tudo"
Conheci recentemente Bencthyclthrtrprr, ferreiro famoso e experiente que fornece a munição mais forte aos Royal Paladinos temidos ,mostrei a ele os incríveis Journal Shield e Adamant Shield ao mesmo nos veio a mente a ganancia em forjar algo , melhor , maior , mais forte , tão grandioso quanto a Warlord Sword . Nos dedicamos para criar este belíssimo The Legendary Shield , herdou a cor inocente do Adamant mas surpreende todos os inimigos a cada ataque. TibiaEye Shield , de olho em todo o mundo tibiano! 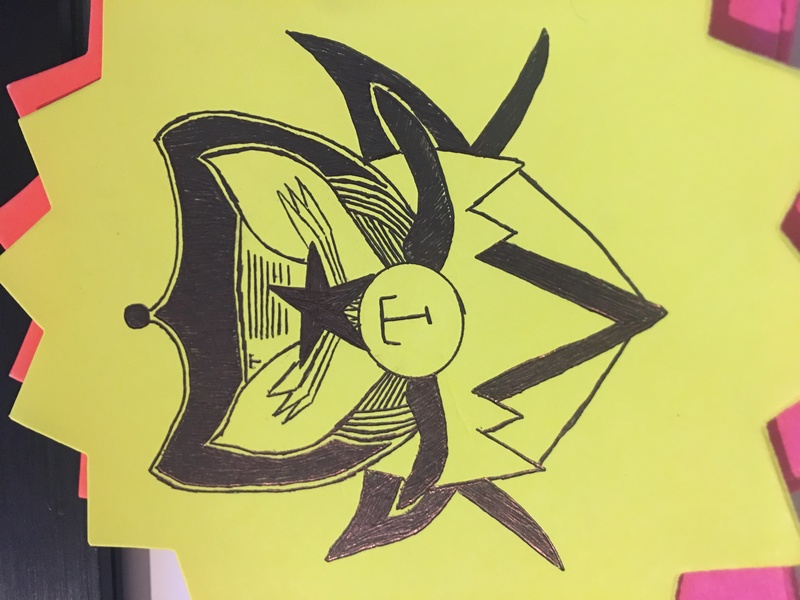 The tale of the Legendary shield. The tale of Petrus was inspiring. It was written by some dwarvish scribe I guess since I found many ancient dwarven runes on the footnotes. Some long forgotten, only used by those which live in Kazordoon or Beregar. It was about a legendary warrior that went on a quest to find the best shields in Tibia lands. Long story short, Petrus was successful in finding the Journal shield and the Adamant shield. He then proceeded to the Big One Mountain, to find the most skilled dwarves to forge his ultimate protection piece: a legendary shield. Sadly, according to the scribe notes, not even Koox and Uzgod, the blacksmiths of Kazordoon armory, found a proper way to work the material of both shields without damaging them beyond repair. Frustrated, Petrus exiled himself among wild warriors west of Femor Hills. That was the last citation about him. The book didn't have much information about the shield's materials, but I was sure of one thing: the dwarves' failure could only be explained by a magic component intrinsic to shields'. Dwarves are very skilled in crafting metal, but they don't know much about magically imbued metal. I visited Koox in Kazordoon and after couple ale mugs, he remembered about Petrus' shields. He said that one was light as leather and soft to the touch. But the other one was as hard as steel, though shiny and precious like fine gems. Koox said that materials were too heterogeneous to be merged into something useful, so he advised Petrus to keep them as they were. Knowing that, I mounted my kingly deer Kyrion and went to the wild warriors' camp. I found Petrus easily since he was the tallest and strongest of warriors and had many scars, possibly the result of his ultimate quest to acquire his shields. We spoke for some minutes and he admitted his frustration. It was then that I told him that I might be of help in his mission, but would need to take a look in the pieces of equipment first. He said he kept the shields hidden in his vault, buried under his tent and invited me in so others would not spy his treasures. So he unveiled the first piece wrapped in silk. It was already night, but the Adamant shield reflected the moon's light and illuminated the whole tent. Indeed, it was fascinating. As Koox said, the piece was hard and shiny, like if the light of starts were imbibed in it. The other shield was kept inside a nicely adorned wooden box. The Journal shield was as light as a leather shield, apparently not very resistent...but there was something about it. Holding it was like immersing in everything that was happening around the world. A kind of omniscience feeling took my body. I was sure: both shields were magically enhanced. I told Petrus that the magic within those unique shields was very special. Those pieces were blessed by two of the Celestial Paladins, champions of the elves' old days that were worshiped like demigods. The shiny Adamant shield was given to Priyla, the daughter of the stars, mystery and magic. The light reflected by the gems were star-like shine resulting from her blessing. The Journal shield was crafted for Krynierr, the silver tongue, poetry, love, and music. He was the Celestial Paladin responsible for intel issues and his skills helped him to gather information from all over the lands. His blessing enhanced the shield with omniscience feeling. I knew very well the elvish tales, and everything about the Celestial Lords: his skills, stories, abilities and powers. Yet, I never saw any artifact of them... they were all supposedly lost long ago, but Petrus had two of them in his hands! I told Petrus that I knew a way to craft his ultimate shield. Like most elvish equipment, those shields were crafted using powerful magic, in a magic forge. I invited Petrus to my humble home in The Lost Cavern were I have my own magic research facility that could help us. Fire alone would be of no use on those materials... the Celestial Paladins magic would prevent any damage from normal fire. But I have in my laboratory the Eternal Flames from the Fire Overlord: the raw power of the fire element that bled away from Tibiasula herself. That would be powerful enough to make the shields malleable enough to work. We were missing a proper tool to hammer the pieces together. Among my adventurers, I once found a cyclopean smith hammer deep in a cave in Plains of Havoc. I could never wield it alone, but with Petrus' help, it could be done. Delicately, I put the Adamant shield in the Eternal Flames and it immediately started to react, glowing red and purple. I grabbed my ancient elvish tome and started a ritual long lost to "awaken" dormant magic powers in artifacts. While I spoke the elvish words, the Adamant shield became bright white, and the light coming from it was so strong we had to look away from it. I told Petrus it was time to put the Journal shield over it... after doing that, the bright white light became a gloom-blueish sheen and we could feel both items were interacting magically. I told Petrus: "Now, let the hammer fall twice upon them, so the magic infusion will start!" You see a Legendary Shield. It weighs 42 oz. You feel like the weigh of this shield is actually not a burden, but the answer to all your questions. 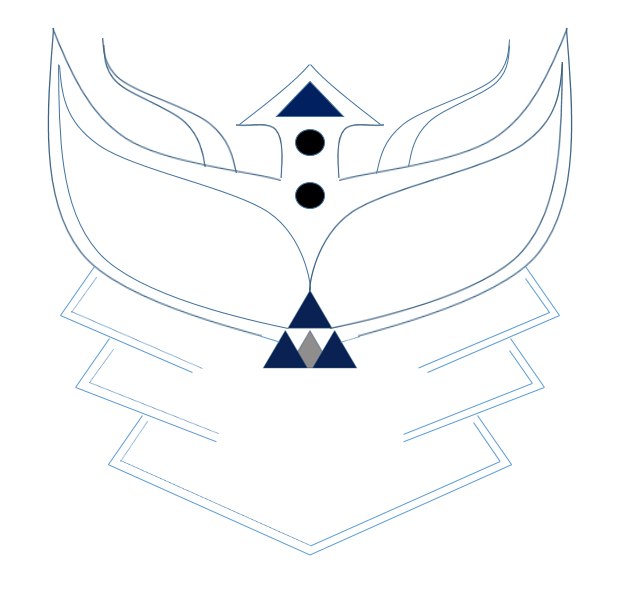 The new shield emanated wisdom and enlightenment, and the livid starlight imbued on it was like a source of hope and strength for those holding the shield. More than physical protection, this new shield obviously was meant to protect the owner's mind and thoughts, shielding him or her from ignorance and lies, giving him the strength to work for the best for humanity. A noite no mundo de Luminera sempre chamou atenção com suas belíssimas estrelas, tão brilhantes quanto aos olhos de quem já presenciou a chama ardente de um temido Dragon Lord. Um céu tão imponente deve guardar inimagináveis lembranças, desde o início das criações, quando deuses pairavam por estas terras. E foi nas profundezas de tais terras, longe dos céus e abaixo de uma montanha de pedras que um império foi construído há muito, muito tempo atrás. Dentre cavernas e calabouços subterrâneos, os anões construíram uma cidade inteira, chamada de Kazordoon. — Quem deve estar batendo à porta a esta hora da noite? Indagava-se o ferreiro Lywulf, que acabara de fechar sua pequena loja de equipamentos. — Ah! Só poderia ser um deles. Esses exploradores desocupados... Reclamou Lywulf. Era um dos seguidores da ordem da Explorer Society, guerreiros conhecidos por explorar o continente de Tibia, em busca de novas aventuras e descobertas. — Trago comigo dois dos mais resistentes e belos escudos já feitos e uma missão para ti. Por favor! Passei por várias cidades até chegar aqui e acredito que apenas tu és capaz de atender ao meu pedido. Preciso fundi-los para criar um único escudo, o mais belo e resistente que já existiu. Será o item mais cobiçado já visto! Suplicava Petrus, um guerreiro esbelto que parecia exausto de sua jornada. Ora, esta oferta jamais poderia ser recusada pelo ferreiro. Afinal, depois dos dragões, não existem criaturas tão aficionadas por joias e metais preciosos como os anões - exímios mineradores e artesãos. Aqui então, a missão de Lywulf se inicia. Seria preciso unir um Journal Shield, cuja lenda dizia ter sido forjado pelos próprios deuses - que entalharam no metal mais resistente, escrituras sagradas nunca decifradas - E um Adamant Shield, cujas histórias contavam ter sido forjado em joia bruta, com o mais belo e resistente diamante criado, para ser presenteado pelos deuses à própria Tibiasula, quando ainda viva. Não seria uma tarefa fácil, pois o trabalho final precisaria conter a essência de duas obras primas. As escrituras sagradas precisavam ser fundidas em diamante bruto. Para tal feito, fazia-se necessário uma grande magia, uma benção de fogo, cuja autorização deveria ser requisitada à Kawill, o Abençoador e Pydar, o Filho do Fogo. Tudo isso em troca, claro, de um raríssimo Phoenix Egg, que obviamente, o grande guerreiro Petrus já havia obtido como recompensa de suas explorações pela lendária Paradox Tower. E assim começou. Com uma força bruta surreal e a benção de fogo dos anões - utilizada para manipular a forja, - Lywulf batia com seu martelo, em meio à sangue, fogo e magia! Naquela noite, cada batida em cima da bigorna iluminava por inteiro os monstruosos salões e corredores antigos de Kazordoon. 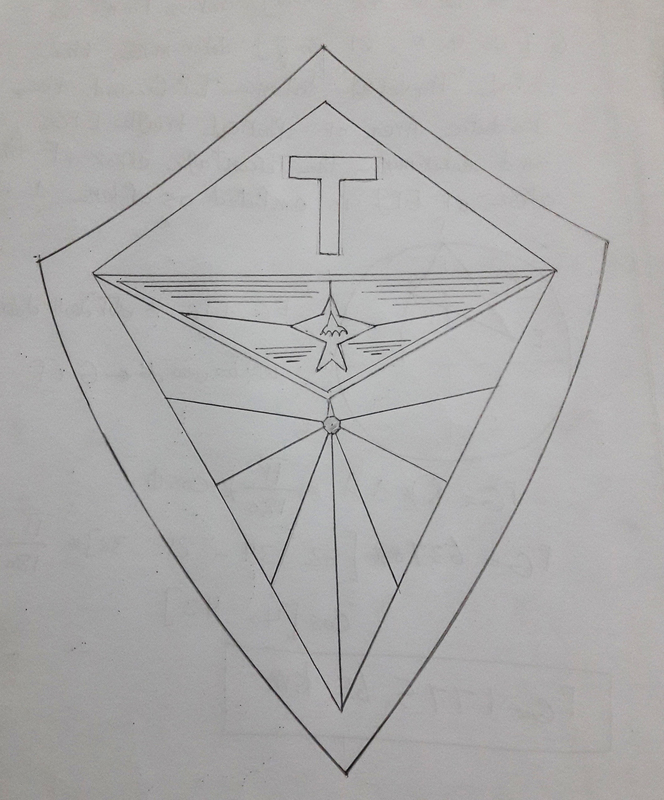 Até que enfim, o escudo mais resistente e belo - desejado por Petrus, - foi forjado e batizado como: The Scribed Shield, o escudo lendário. Deu-se início então, a mais uma lenda que ronda as terras Tibianas. Edit: Atualizei a imagem anexada com uma melhor resolução.